Chicken Lechon Paksiw with Lemon Grass | Fried Roasted-Chicken with Tanglad – We bought litson manok (Roasted Chicken) yesterday but apparently we didn’t enjoy the chicken that much and ended up just eating the leftover vegetables and baguisen. Early morning around 5am I saw this lonely roasted chicken and decided to do a retouch to make it delectable! 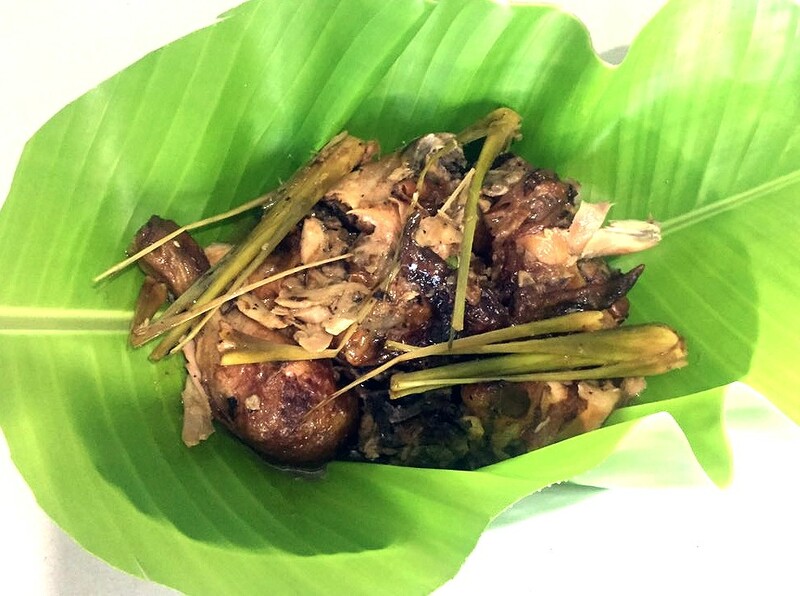 so here is a recipe how to turn a left-over lechon manok to a simple but superb dish! Quickly heat up surface of banana leaf with low to medium heat to get favorable result, what you after is to have a semi-soft and bright like or oily like leaf. if you achieve this and satisfied then set it aside for later use. Now add the water and slightly/gently mix it. Add the Lemon Grass and boil (if boiling continue and wait for about 2-3 Minutes). Add Lechon Manok and lower the heat from low to medium. Wait until the chicken absorbs some of the remaining water (you can add a bit water if needed). This step is for our chicken to get the amazing flavor coming from the best actor of this recipe (Tanglad/Lemongrass) *applause* that surely will give a superb aroma and taste. Add some olive oil or you can also use butter or margarine just a bit (completely optional). Add Salt, Sugar and flour then stir. (this will serve as sauce/sarsa for our dish, often they use bottled sarsa but i find it very flavorful for this recipe). Drop some pepper. Carefully mixed it well to avoid disintegrating our chicken. If the consistency suits you then turn off the heat. Place it on a plate with the banana leaf prepared earlier. ALSO SEE: Homemade Microwave Nougat Candy for Kids! Notes: The heart and soul of this recipe is the tanglad or lemongrass make sure to include this all the rest you can treat as semi-optional. 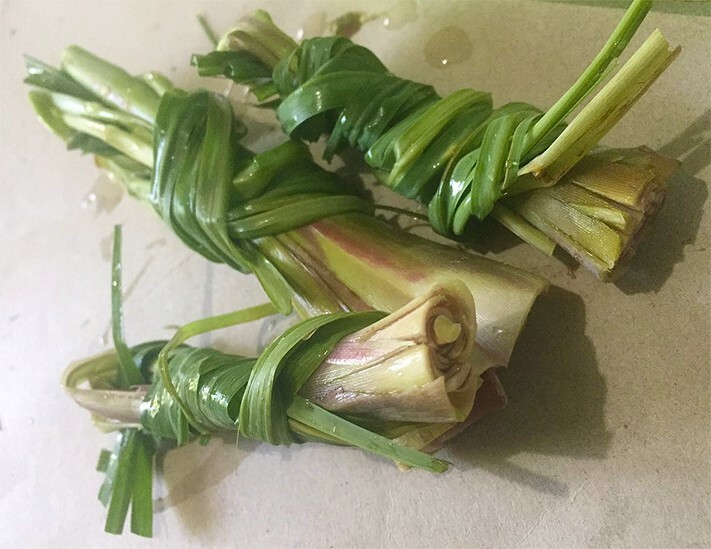 You can cut the rest of leaves of tanglad and leave just the lower part of stalks after cooking.